Participants of eligible supplemental programs qualify for $1 Museum general admission tickets. Come to the Perot Museum Box Office Monday-Saturday 10am-4pm, Sunday 11am-4pm. 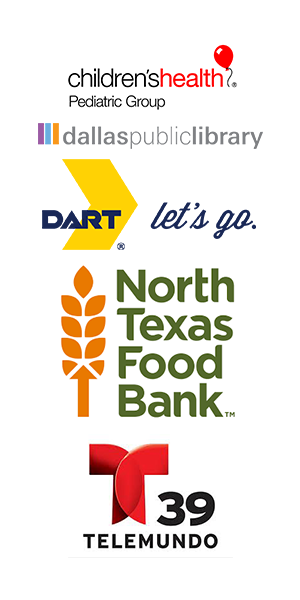 Show valid proof of enrollment such as Lone Star card, WIC EBT card, Medicaid card, CHIP card, SSI award letter, etc. Offer valid on a walk-up, ticket-available basis, must be used on day of purchase for qualified individuals and up to 7 immediate family members attending the Perot Museum with the qualified individual. 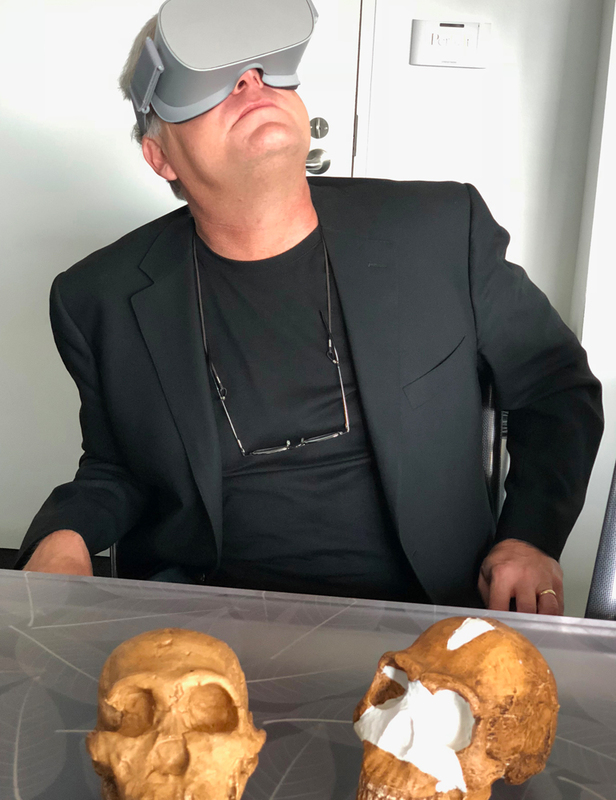 $1 admission is per person and must be redeemed in person at the Perot Museum Box Office Monday-Saturday 10am-4pm, Sunday 11am-4pm, and children 17 and under must be accompanied by an adult. Show valid proof of enrollment in an eligible state/federally supported assistance programs and valid photo ID. (Such as Lone Star card, WIC EBT card, Medicaid card, CHIP card, SSI award letter, etc.). Offer cannot be redeemed without valid proof of enrollment in an eligible program and valid photo ID. Perot Museum reserves the right to change, modify, or decline this offer at any time. Offer is good for next available timed entry and cannot be combined with other discounts or offers. Must be enrolled in one or more of the eligible state/federally supported assistance programs. Admission into films not included in this offer and requires additional charge. No refunds on discounted admission and parking is not included. First name, last name, email address, and zip code are required for admission discount. Los participantes de ciertos programas complementarios califican para adquirir entradas generales al Museo por $1. La oferta debe canjearse en persona en la Taquilla del Perot Museum de lunes a sábado de 10 a.m. a 4 p.m., domingos de 11 a.m. a 4 p.m. Debe presentar una prueba válida de inscripción en un programa de asistencia elegible que esté respaldado por el gobierno estatal o federal y un documento de identificación vigente con fotografía. (Como por ejemplo, tarjeta Lone Star, tarjeta EBT de WIC, tarjeta de Medicaid, tarjeta de CHIP, carta de concesión de Seguridad de Ingreso Suplementario - SSI, etc.). Oferta válida al visitar el museo y según la disponibilidad de boletos, y debe utilizarse el día de la compra. Oferta válida para personas calificadas y hasta 7 familiares directos que visiten el Perot Museum junto con la persona cali cada. La entrada por $1 es por persona. Los niños de 17 años de edad y menores deben estar acompañados de un adulto. Debe presentar una prueba válida de inscripción en un programa de asistencia elegible que esté respaldado por el gobierno estatal o federal y un documento de identificación vigente con fotografía. (Como por ejemplo, tarjeta Lone Star, tarjeta EBT de WIC, tarjeta de Medicaid, tarjeta de CHIP, carta de concesión de Seguridad de Ingreso Suplementario - SSI, etc.). La oferta no puede canjearse sin antes presentar una prueba válida de inscripción en un programa elegible y un documento de identificación vigente con fotografía. El Perot Museum se reserva el derecho de cambiar, modi car o rechazar esta oferta en cualquier momento. La oferta es válida para la siguiente hora de entrada determinada que esté disponible. La oferta no puede combinarse con otros descuentos o promociones. Debe estar inscrito en uno o más programas de asistencia elegibles que estén respaldados por el gobierno estatal o federal. La entrada a las películas no está incluida en esta oferta y tiene un costo adicional. No habrán reembolsos por las entradas rebajadas. El servicio de estacionamiento no está incluido. Se requiere nombre, apellido, correo electrónico y código postal para recibir el descuento de admisión. CityPASS holders save 39% on admission to the Perot Museum and several other Dallas attractions. Eligible educators receive 15% off the purchase of a Perot Museum membership. 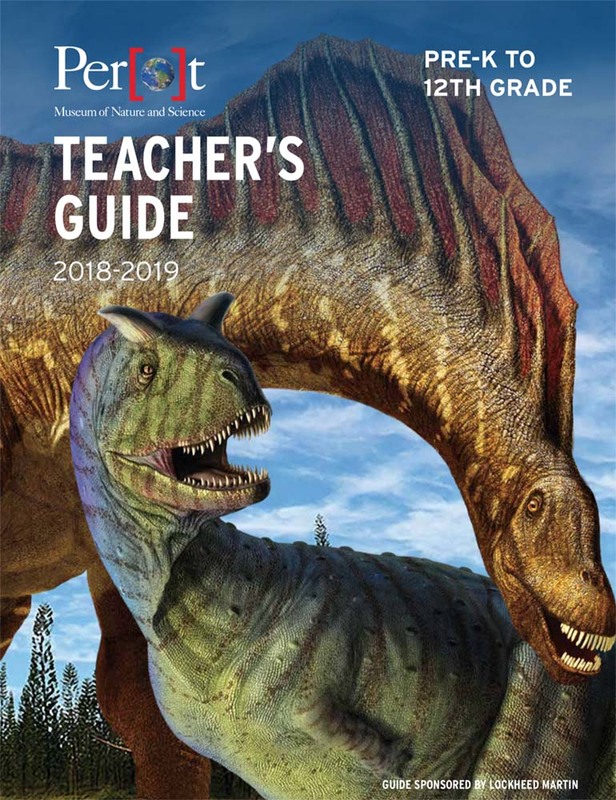 We are pleased to offer 15% off the purchase of a Perot Museum membership for K-12 educators in Texas and its bordering states when purchased in person at the Museum Box Office. Visit the Museum Box Office and present proof of current teaching status on the day of your visit. Educator discount is not available online and must be redeemed in person at the Museum Box Office. Please note, free teacher admission is not applicable on the day of your field trip. We are unable to offer the discount on days when Museum tickets are sold out. Free discount applies to the Museum general admission ticket and does not include traveling exhibitions, films, or other special events. Bordering areas include: Arkansas, Louisiana, New Mexico, Oklahoma, and Mexico. Proof of current teaching status at a K-12 institution must be shown. Discount does not apply to homeschool educators. There are no refunds or discounts applied to pre-purchased tickets. Eligible educators receive free admission to the Perot Museum. We are pleased to offer free admission for K-12 educators in Texas and its bordering states to provide teachers the opportunity to visit the Museum and plan field trips or other educational experiences for their students. Eligible military and first responders receive free general admission. The Perot Museum extends free general admission to all active duty members and veterans of the United States military, law enforcement officers, firefighters, paramedics/EMTs, and a $3 discount for their families. Visit the Museum Box Office and present proof of eligibility, including official badge and ID, training certificate, state license, Military ID, Veterans ID card, or Veterans Association Card. We are unable to honor discounted or complimentary offers when exhibit tickets are sold out. The Perot Museum is unable to refund ticket fees purchased for discounted or complimentary admission. Discount or complimentary general exhibit hall admission offers only available at the Perot Museum Box Office. $3 discount for family members is good for up to 7 additional family members. Eligible KERA/KXT Members receive 15% off new Perot Museum memberships only. The KERA/KXT Member Rewards offer is valid for 15% off new memberships to the Perot Museum of Nature and Science only. The discount only applies to the cardholder's membership. The cardholder must present both a valid KERA/KXT Member card and a photo ID at the Box Office. Offer good for new Museum members only. Offer does not apply to renewal of membership. A valid KERA/KXT Member Rewards card must match a valid ID. Offer available in person at the Box Office only and is not available online, by phone, or by mail. Free general admission for members of partnered local, national, and international museums. Whether you’re visiting the Perot Museum from another part of the state, nation or world, your local membership card from another museum could be your passport to savings — offering free general admission for up to two adults and children in your household! If your institution is on the list, simply present your valid membership card at the Perot Museum Box Office to redeem your tickets. Offer only applies to members of institutions located outside a 90-mile radius of the Perot Museum. We are unable to honor discounted or complimentary offers when general admission tickets are sold out. Free admission is good for permanent exhibit halls only; additional fees for parking, films, etc. are not included. Members of ASTC Travel Passport Program institutions may receive free general admission for up to two adults and their children (17 and under) living in the same household. Reciprocal admission is only available in person at the Perot Museum Box Office on the date of visit. Guests must present proof of current ASTC museum membership and a valid photo ID to receive reciprocal admission. The Perot Museum is unable to refund pre-purchased tickets in order to apply discounted or complimentary admission. Members of the Fort Worth Museum of Science and History or the McKinney Heard Natural Science Museum & Wildlife Sanctuary are too close to the Perot Museum to qualify for ASTC benefits — but we’ve collaborated to offer our own reciprocal admission program for members at specific levels. Free general admission for members of the Fort Worth Museum of Science and History and the McKinney Heard Natural Science Museum & Wildlife Sanctuary. Since the Fort Worth Museum of Science and History and the McKinney Heard Natural Science Museum & Wildlife Sanctuary are within a 90-mile radius of the Perot Museum, ASTC reciprocal admission is not available. Wonder level or higher membership with the Fort Worth Museum. Road Runner level or higher membership with the Heard Museum. These visiting members can present their valid membership card at the Perot Museum Box Office to receive free general admission for up to two adults and all children in the household. For details on Perot Museum members visiting Fort Worth or McKinney, click here. Grab your Wonder level or higher membership with the Fort Worth Museum or your Roadrunner level or higher membership with the Heard Museum before you leave the house. Receive free general admission for up to two adults and all children in the household. Only available in person at the Perot Museum Box Office on the date of visit, and subject to ticket availability. Must present valid photo ID and current membership card indicating at least one of the membership levels listed above. Reciprocal admission offers free general admission for up to two adults and their children (17 and under) living in the same household. If more than two adults are visiting with you, these additional tickets may be purchased at the Box Office.